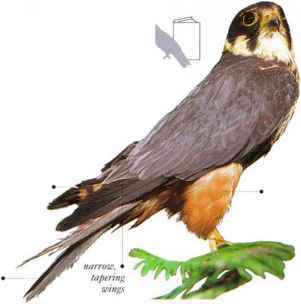 One of the small hunting falcons, the Eurasian Hobby is huilt for speed with narrow, tapering wings and a long tail. Ir is fast enough to catch swallows (setp. 210) and swifts (seepp. 208-209), moving very rapidly in level flight with bursts of fast wingbeats. Its vision is keen enough for it to hunt hats in poor light, and it also takes large insects such as dragonflics. These are often carried in the feet and eaten during flight. 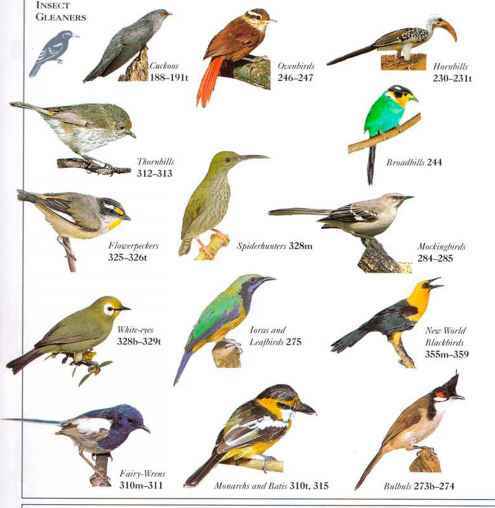 • NliST An old nest of a large tree-nesting bird or a squirrel. • DISTRIBUTION Breeds ill much of Eurasia and in N.W. Africa. Winters as far south as South Africa, India, S. China, and S. Vietnam.